We offer a full range of treatments from basic examination through to extensive reconstruction and now facial enhancements/aesthetic treatments. We treat all of our patients as an individual and therefore tailor the treatment plan to meet your needs. We will provide a high standard of care to get you as “dentally fit” as you wish or feel comfortable with. Our practice has beautiful surroundings with comfortable furnishings. We provide daily newspapers & recent magazines in our waiting rooms to help with your relaxation. We run regular art exhibitions, where the walls of the practice are used as an art gallery by local artists or photographers, for the enjoyment and relaxation of our patients. 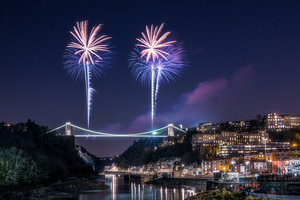 Currently we have a number of photographs by Ed Norton of www.ednortonphoto.com click here to see some of his work and biography. The practice now has a facebook.com profile click here to become a friend of Lime Tree Dental. Are you worried about your gums? Gum disease (periodontitis) is a very common condition that most of us will suffer from during our lives.10% of the population are particularly susceptible. It tends not to be painful so we may not know we have it, and yet it is the biggest cause of tooth loss in adults. Evidence has been gathering for some time about the importance of the health of your gums to your overall well being. It's about far more than just your teeth falling out, although that's bad enough. People with healthy gums have been shown to have a lower risk of stroke, heart attack, rheumatoid arthritis and better diabetic control. Here at the Lime Tree Dental Practice we are dedicated to the idea that we can help you to look after your teeth for life. Jonathan & Nick are both very aware of gum diseases & will examine your gums at every check up or more often if required. Good oral hygiene techniques are required to keep your gums healthy. Tepe brushes (or Interdental brushes) are a great way to clean the spaces between your teeth everyday where your normal toothbrush cannot reach. We can advise you the correct size for your mouth to ensure that you are able to remove as much of the plaque bacteria as possible. We stock the full range of Tepe’s at reception. Exciting new treatments that uses state of the art materials and by applying principles from the building industry (steel reinforced concrete). We can now bed strong metal-free fibres or mesh into white/tooth coloured materials to give extremely strong and cosmetic solutions in a broad range of dental situations. Splinting loose teeth, replacing missing teeth & broken teeth are a few of the circumstances where this new "Fibredontics" can be used. Read more about Fibredontics and see some examples click on our FIBREDONTIC Feature above. BIODENTINE - "The Calm" to prevent "The Storm"
Introducing a filling product called BIODENTINE that can calm down certain painful teeth or repair badly broken teeth and hopefully prevent the need for a root filling. As part of our involvement with a research group called the PREP Panel through the University of Birmingham, we were asked to evaluate the performance of this really exciting new product. Biodentine can be used when a cavity in a tooth is very deep & close to the nerve (pulp). As a result, the nerve maybe affected by the decay. Biodentine promotes healing of the nerve to help it lay down natural dentine within the pulp chamber to protect itself in the future and to try to keep the nerve alive. The outer coating of the biodentine will need to be coveredin the future (2days to 6months) with a permanent cover(either filling or crown) to protect it. So as such the tooth will need to be treated twice, however, this treatment is designedto try to reduce the chance of this tooth needing a root filling & the relevant cost. Many of our patients have already experienced this treatment & are showing fantastic results. We were very pleased and proud to be featured in an article published in The Times by the manafacturer of Biodentine, Septodont, in January 2019, about Lime Tree Dental Practice using Biodentine; click here to read the article. Click Here to see an article Nick wrote in 2011 about Biodentine, for a national dental magazine. We offer disabled access to a ground floor reception, then flat access to a ground floor surgery. The surgery is light, modern and airy, where patients can choose to receive their treatment while sitting in the dental chair or remain in their own wheelchair if necessary or if preferred. (Unfortunately we do not currently offer a toilet with disabled access). We both have an interest in Cosmetic Dentistry. If you have concerns about any aspect of your mouth or smile, we are happy to discuss them with you. 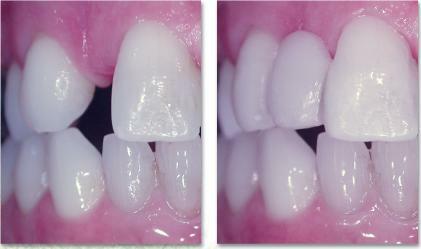 We can show you a COSMETIC DENTISTRY PORTFOLIO, which has before and after pictures of cases we have completed. This can show you several simple ways how a smile can be changed and how effective it can be. We will always discuss the cost of treatment options with you, prior to any commitment from yourself. Scott Jones BDS offers our patients, a range of treatments to help you look great. Click here to read more. Do you need to be seen urgently? TODAY? TOOTHACHE? Call us on 01275840234 or to send us an email, CLICK HERE. # take any necessary X-rays – using our digital imaging system. This state of the art system reduces the dose of radiation and also gives us an immediate image, allowing us faster diagnosis. # get you out of pain or treat your problem, as soon as possible. We have TOOTHACHE APPOINTMENTS available everyday. These are usually between 12.00–12.30pm, although other times maybe available at short notice. If you contact us early in the morning (phone lines open at 8.15am) we will make every effort to see you the same day. If you contact us later in the day we can usually see you within 24hours. Call us on 01275 840234 now to book an urgent appointment. We offer our own out of hour's emergency service at Lime Tree Dental Practice which is FREE of charge for our Plan Members that have the Dental Accident & Emergency Insurance*. There is a call out fee for all other patients, but everyone is welcome to use this service (current cost is quoted on the practice answerphone message). This service is available weekdays until 10pm & weekends 9am until 6pm. You can call us & arrange to see Nick or Jonathan at the practice. To access up to date emergency service information, please ring 01275 840234 & listen to the message (on the odd occasion that we are both away on professional development an alternative option will be suggested). Alternatively the NHS has out of hours telephone advice line which can give dental advice and provide some services on telephone no. 111. For those patients who have had a bad experience or who have a dental phobia, we hope that our approachable relaxed manner will help you toward successful treatment outcomes. For those who require extra help with their anxiety we are pleased to offer a “conscious sedation” clinic. This involves IV (intravenous) drug administration, usually in the back of your hand which sedates you. Helen Mannion–Jones BDS, BSc(Hons) – Since qualifying, from Birmingham in 1995 Helen has worked as a Senior House Officer (SHO) at hospitals in both Shrewsbury and Wolverhampton. During her time as an SHO, she gained considerable experience in both major & minor oral surgery under both sedation & general anaesthesia. 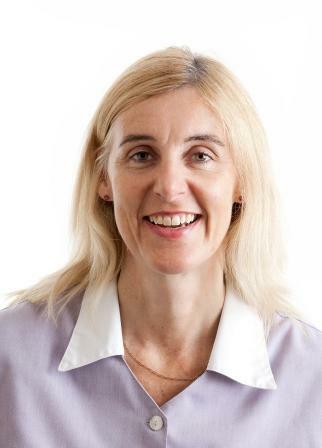 Helen has had extensive experience in general dentalpractice using conscious sedation, for routine dental care as well as oral surgery procedures. Children & Families - Did you know? Children examinations are FREE at Lime Tree(see below for terms). Both surgeries are stocked with a great range of fun stickers to reward your child for a good visit to the dentist. Both of us have years of experience in Children’s dentistry. We feel that too many people are put off dentistry for life because of a bad experience as a child. Therefore we hope to deliver an enjoyable experience of dentistry for as many of our younger patients as possible. As a result we offer free children’s dental benefits when attending with their parents/guardians on our FAMILY MEMBERSHIP PLAN. If you prefer to pay as you go, your children (0–16) will receive a free examination when they attend with you at your dental examination. Do Your Children Need Help With Brushing? We are always happy to help and give you or your children advice, on the best ways to care for your childrens teeth and gums. Where possible we like to keep it fun. 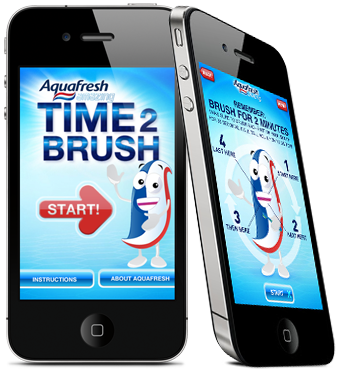 Aquafresh have a great app for your iPhone or iPod Touch. Your child can time their own brushing, as it has a two minute timer. It plays music for 2 minutes while they are brushing, tells them when to switch positions & lets them dress the Nurdle toothpaste character! A bit of fun, which is a real encouragement to kids, who are brushing their own teeth. We do recommend parents help your child to brush their teeth until they are about 8 years old, to ensure all teeth are cleaned effectively. CLICK HERE or on the TIME2BRUSH image to DOWNLOAD the APP. Copyright © Lime Tree Dental Practice, Updated Mar 2017.